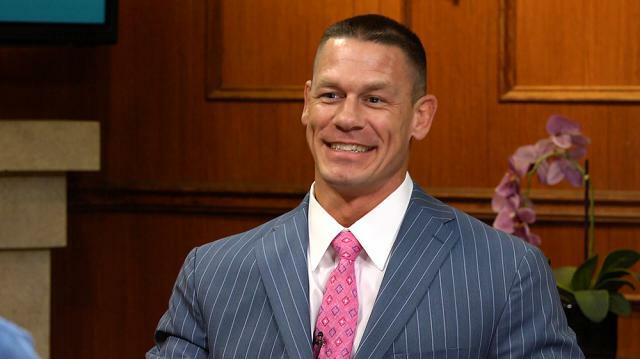 More from Ora: Wedding bells for John Cena & Nikki Bella? WWE superstar John Cena tells Larry the wrestler from yesteryear he’d most like to fight is Stone Cold Steve Austin, and says if the opportunity were to present itself, he’d hop in the ring with Austin. Wedding bells for John Cena & Nikki Bella? Is John Cena gunning for Ric Flair’s WWE title record? Wrestler AJ Kirsch Talks Stone Cold Steve Austin, the Rock, and his Experience on "WWE Tough Enough"
John Cena: Aren’t I Already The Bad Guy?